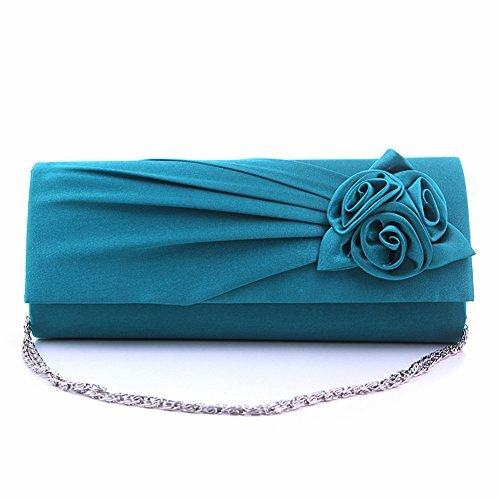 Are you looking for prom purses and clutches to pair with your formal ball gown and don’t know what to get? These tiny prom handbags are essential accessories for your so important evening. So, you’re going to attend your junior or senior prom this year and you have chosen the most beautiful prom dress, cute prom shoes and a unique wrist corsage. Now, you need to accessorize your attire with a few remaining items such as prom purses and clutches. Here are a few tips to help you choose the ideal prom handbag to pair with your evening gown. Prom purses and clutches are among the most important outfit accessories for this big night. 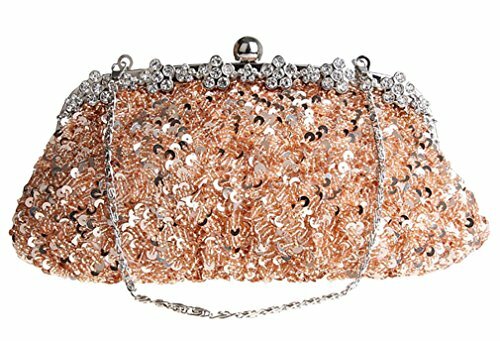 However, you need to find the right evening bag, the one that fits perfectly with your ball gown for prom. Since you will be dancing the night away in your beautiful dress, you certainly won’t need a backpack. 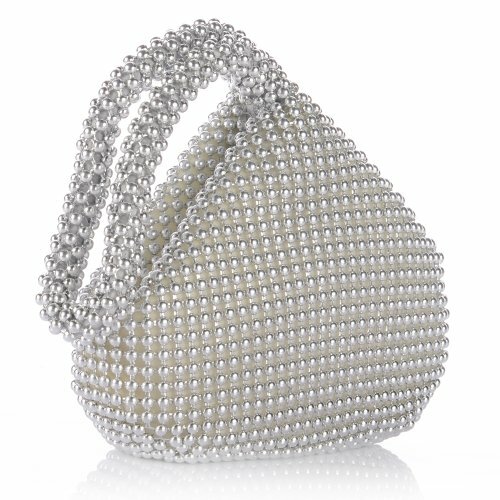 Opt for an evening bag that is a little more sophisticated and delicate. 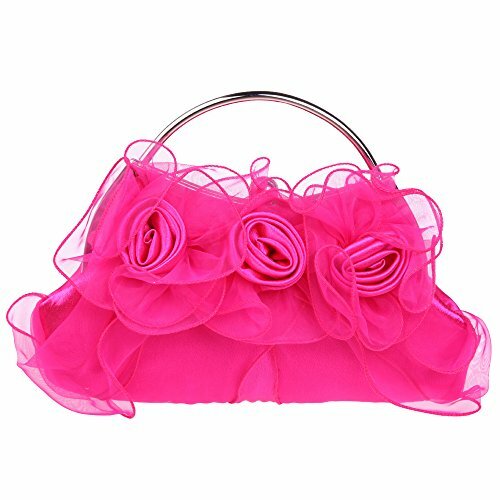 Instead browse online stores for cute prom purses and clutches. And select a cute wallet or small purse that will be big enough to carry your cell phone, your ID, a bit of money, and a stick of lip balm, gloss, or lipstick. 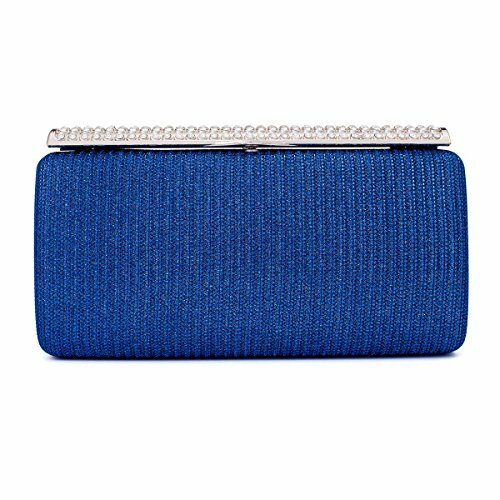 Nowadays, most people are opting for small prom purses and clutches that go well with the formal evening outfit. But the marketplace offers a wide range of prom handbags. Let’s take an eye to the most popular prom purses and clutches these days. A good example is the clutch bag featured above. It is a very trendy model that features a peacock style. It’s made of velvet and comes with a lovely peacock bird on its top – which is also the closing feature of the bag. The peacock is embellished with false and colorful gem stones, which provide the clutch with a sparkling appearance. In addition it is available in 4 colors (black, deep blue, hot pink and red). As you can see it is not a big prom clutch, yet you can store many different accessories in it. 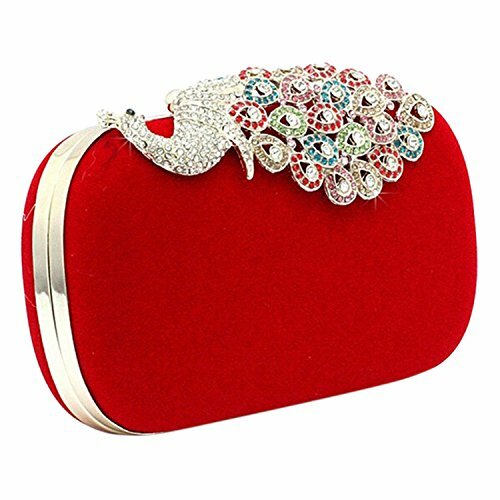 By the way, these many adorable prom purses and clutches are made out of leather, PU, hard materials for cases, velvet, satin, etc. 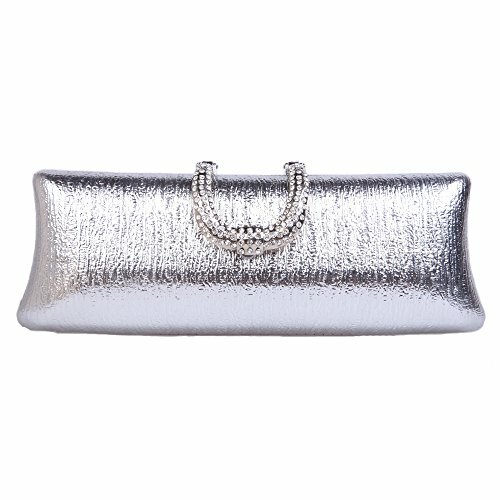 Silver prom clutches are among the most popular evening bags out there. This is because they come in many different models and that you can pair them with any kind of dress style and, above all, any color. 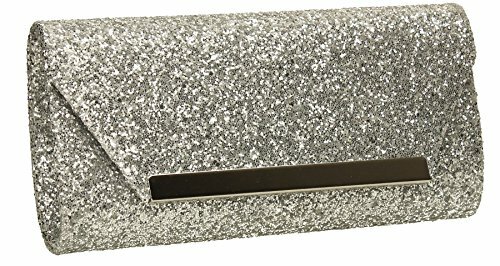 Silver prom clutches are elegant and sophisticated, which makes them favorite accessories for a fun night out. 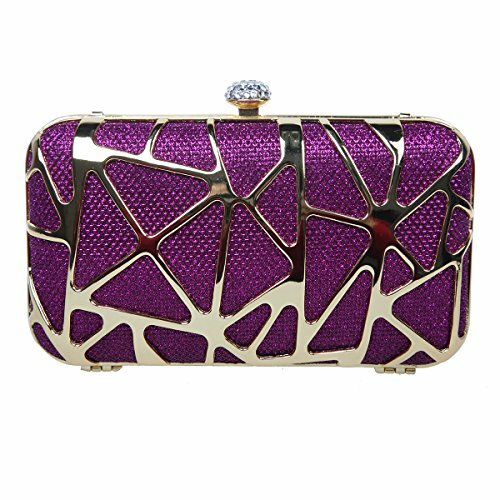 They also make the perfect formal clutches/purses to pair with formal ball gowns. Prom handbags are also a good choice. These are very small, sometimes with a very slim shoulder strap that you can remove if you wish. Other models feature a handle so that you can hold them on your hand. They’re generally sequined and beaded, embellished with artificial rhinestones and crystals, come with beautiful embroidery or feature some artsy design. Their design can be kept as simple as just prom handbags made of satin with a simple 3D flower on them. Most of them come with inside pockets to store your accessories. 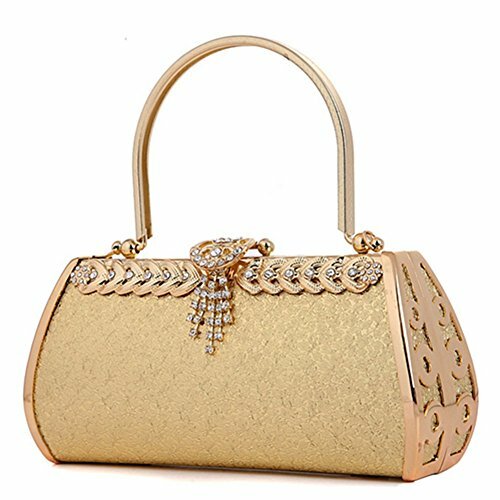 You can buy these prom handbags in different colors, even though some are only available in just one color. Ultra small, ultra cute, ultra trendy, evening wrist bags hold your goods safely with their zipped closure. You can find them in different models and styles. The one above is beaded and comes in gold or silver. As an alternative, you can choose the secret stach pocket that you can hold on your arm. It is so smart that it offers room for your credit card, identity card, and even some pieces of jewelry. In addition, it comes in a nice laced design and three different colors. 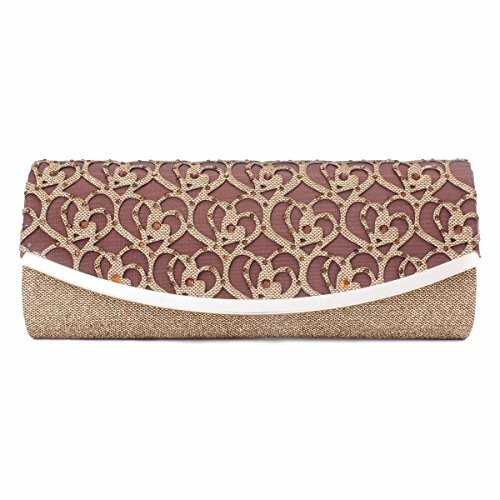 Although the list of prom purses and clutches is long, you can find out that none of them suits your needs. A friend of mine came up with the best idea out there when she received a wrist pouch. Because she isn’t a sportive person, she wondered what to do with that pouch. After a thought, she turned this sport armband into the cutest wrist corsage. Craft glue or a hot glue gun. Using the ribbon, create a lovely bow (make as many loops as you want). Glue it on the pouch. Glue some beads and rhinestones on the ribbon and the pouch, then the silk flowers around them. Add as many beads and stones as you want – make sure the decor turns into a real looking corsage. Allow to dry. And voilà: you’re all set. This personalized wrist bag or arm bag can be worn in all kinds of occasions: prom, graduation, christenings, weddings, etc. You can get guidance to make a wrist corsage here. 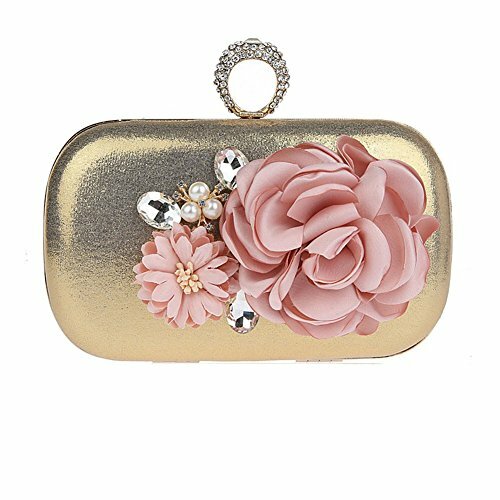 I hope these few ideas helped you find the best evening purses and clutches for your prom attire. Above all, have fun and take lots of pictures. Tagged evening bag, evening bags for prom, evening clutch, evening purses clutches, fashion accessories, formal clutch purse, junior prom accessories, prom, prom accessories, Prom Bags, prom clutch bags, prom clutch purses, prom clutches, prom handbags, prom purses clutches, senior prom accessories, silver prom clutch bags, silver prom clutches.